Read TalentLMS reviews and discover how other eLearning Industry community members have experienced the software. What do you like best? One of the main reasons we switched to Talent LMS was because our previous system was way too cumbersome. Now we have been using this LMS for the past 3 years and we are loving it. What do you dislike? Hm, we haven't had any unpleasant surprises so far. Perhaps, lack of live support could have been an issue during the early stages of implementation. Very usefull LMS with all basic functions you needand may expect. What do you like best? The facility of use, the simple integration of the commerce module, the interface with Shopify. What do you dislike? What I find less of TalentLMS is the reporting possibilities further I do not have much against TalentLMS. TalentLMS is a very useful application that makes work less cumbersome. By far, the easiest LMS to work with. There is a very short learning curve. Perfect for small busin. What do you dislike? No live customer service. I would also like the tutorials to be more organized. I wish there was training in order of what you should take to learn the system. Tutorials are currently targeted, which is good, but not in order. Very easy to use LMS for course providers and students. What do you like best? The ability to produce good quality elearning with quizzes. What do you dislike? Would like to be able to locate uploaded audio files easily and also put in some sort of directory. Would like more playback style options eg icons. We can provide online training to our users who need retraining or cannot attend a live training. What do you like best? Easy to set up. Price was right. The various quiz formats was nice. What do you dislike? I am not sure how I feel about using branches for different urls instead of using security/roles to silo the courses from user groups. We still need to test this out further. It is the most reasonable and transparent software for it's purpose. What do you like best? Cost Transparency and freemiums. In a field with a software that is widely used for the purpose of education and corporate training, the assumption that a quote and a conversation is required in order to become familiar and test the product is paramount. Pricing should not always be based on big box plans. What do you like best? We like the ability to use either SCORM compliant courses or regular Powerpoint files as our core material, and then build quizzes within the portal. What do you dislike? I would give it a 6 out of 5 stars if I could but to be honest I have a ticket open at the moment. I am experiencing some issues where some of my videos wont convert and stay idle for hours. However I uploaded tons of data and maybe it hung the system up. Customer care is looking into it and is very quickly responding without standart scripts and is very supporting which gives me confidence about my choice. I am sure they will solve my issue asap. Efficient and effective eLearning solution for any sized organization or team. What do you like best? Quick to setup and get started with minimal fuss. Being cloud based and having someone else worry about infrastructure is a huge blessing. What do you like best? I searched and tried more than 20 LMS's before adopting TalentLMS, and I am very glad I made this choice. It showed to be very easy to understand and to use; their support is great and almost instanteneous; I'm very happy with it overall. What do you dislike? I didn't like that it doesn't have a built-in math editor, which would have helped me a lot. I needed to spend a lot of time to find another way to build my own solution to integrate with TalentLMS. I like it because it helps me spread information to people. Well Designed LMS with unique features catering for segmentation of users. What do you like best? The use of branches is a useful feature. The ability to allow non-registered prospects to view and complete a course before sign-up White-Label options Use of SCORM Development courses uploaded with ease on the platform.  Ajagan T. — Technology Enthusiast with a focus on Learning, Hiring and Analytics. What do you like best? I love the fact that the instructors interface is simple and not overburdened allowing even the most tech phobic teachers to be able to create courses. Great product! Plus the support is outstanding, answering my emails within the hour! What do you like best? How easy everything is. It is not complicated and TalentLMS is having a lot functions. What do you dislike? I don't like that it is so difficult do create a certificate like you want it. The only option to place the text at the right place is by code. If you are not able to write this code it is really difficult to create a nice certificate. Easy and quick to set up. Customizable to our needs. Professional functionality. What do you like best? I liked most that I could setup and personalize TalentLMS in less than 2 hours. Our initial impression is we will be able to provide our training in a professional manner using this platform. Well-thought LMS serving a magnitude of purpose and convert complex to simple cross-functionality. What do you like best? The way a course license is managed and handled. What do you dislike? Not enough quality courses on the marketplace. Maybe there were complex issues in negotiating partnership with course developers. What do you like best? Creating seperate sites for different clients. What do you dislike? The UX of creating homepages for the separate portals for clients. TalentLMS is a simple to use e-learning tool that's provided our team with an easy way to learn! What do you like best? FANTASTIC support team! We reviewed & even used other e-learning platforms in the past. TalentLMS has a broader functionality than the first platform we used (& was a better price!) and has done a much better job taking the user's needs into account than the second platform we used. It is very much geared toward businesses, but still keeps the "classroom" feel that I was looking for as a former teacher. What do you dislike? There are a few additional question types that I wish it had (such as labeling pictures, etc.) that I saw in other LMSes. While I *adore* the support team who have helped us thusfar, & there are a wealth of resources, I wish it were a little bit more intuitive where one should look to find answers on the site. What do you like best? We have just switched to TalentLMS and appreciate the friendly user interface and clarity, as well as the quick and professional customer service. What do you dislike? Customization of the platform and certificates is quite limited. What do you dislike? Payment options was not exists in my country , live sessions need to be used by outside solutions as the default support small number of participants and not include recording. Effective, efficient, smart choice, feature-full, scalable knowledgebase for my organization! What do you like best? Being a startup global telecommunications distributor could be quite challenging, especially when most people in the organization are in various countries, and always on the move, TalentLMS makes the working environment a breeze to working towards our business expansion, onboarding our distributors, resellers, clients, inhouse and offshore employees can never get any much easier. Keep up the good work guys! What do you dislike? We are not very good at the customization of the themes, so maybe better templates or allowing users to upload their own would be a good idea. What do you dislike? I'd like to see the guys behind TalentLMS work on the user interface to make it more modern. What do you like best? What I like most about TalenLMS is that I have an unlimited amount of time (free plan) to customize the look and feel of the user interface to match that of my companies website and the time to create and test courses without being limited to 14 or 30 days trials. I was evaluating/learning three different LMSs at the same time and creating content in each. With TalentLMS I was not forced into paying for the LMS before I had ample time to evaluate it. What do you dislike? The Instructor-Led training class options. I would like to be able to schedule an instructor-led class from a created course. I would like to select/assign the prerequisites for the course as opposed to assigning a course as a prerequisite. I would like to schedule a new Instructor-led class date for a course already created as opposed to cloning a course. Absolutely Fantastic, very flexible, can handle almost all scenarios. What do you like best? Notifications are customization, Domain name mapping, User sign on experience, course creation followed by test creation is very intuitive and easy. i practically learned most of the task without watching any videos or tutorials - the system is so easy and user friendly. Support is very responsive & on the spot. Everything I need for my LMS and its future growth with flexible plans. What do you like best? It offers everything I need for the set up of my online course, from being able to securely deliver my course content in the form of pdf's and videos, to being able to add questions for students to test their understanding. I am also able to set up different courses with payment options. As a start-up, I also like the flexible plans which will allow me to grow in the future. What do you dislike? I've found it difficult to change the theme of my home page - in particular the background and heading colours. From what I've read, this requires some knowledge of coding - It would be great if these could easily be changed to hex colours. I've also found it challenging to understand the difference between branches and categories and how best to set up my course - some more examples of these would be great. What do you like best? We like the easy setup and flexible pricing model that lets us grow without big spikes in price. The easy hosted model means we don’t have to run servers or upgrade software. It’s flexible enough to let us use it for quick refresher training and long multipart courses. What do you like best? I chose them first for their pricing policy. I realized after they have an excellent customer service, very responsive to whatever clients ask for, very open to improve the functionalities. The mobile application is awesome. What do you dislike? The speed of uploading files sometimes, only in some moments of the day, but, I've seen improvement after I claimed the problem. What do you like best? I spent time trying to go live with our e learning course in other platforms and either the price or the complicated software helped us choose talentlms as our lms provider. What do you like best? The website offers a variety of tools, it is easy to load courses, documents & videos. You can create tests and assignments in minutes. You can also print & view various reports. If you are not sure what to do, the technical support team is very helpful & has always the solution for you. You are able to customise your page and you can make changes whenever you want. You don't have to be an IT expert to run an e-learning website using the Talent LMS platform. What do you dislike? The service has been very good, no complaints. Easy to use and navigate the system for both administrators and students. What do you like best? The most important feature within TalentLMS for our company is the ease of use for our students. We moved from a different LMS which we received several support questions regarding navigating the dashboard and beginning a course. TalentLMS has been great with it's customisation options as well as the different levels of pricing which is excellent for any size of organisation. What do you dislike? Only feature which I would like within TalentLMS would be a bulk purchase options within the LMS Ecommerce settings as currently this is all done outside of the system. Great support team, nice graphics! What do you like best? Easy to integrate and great support team and the platform is easy to use. What do you dislike? That not everything can be customized and that you have to spend more on SSL. So far its been a positive and painless experience! What do you like best? I like their pricing model, their feature-set, the support, and most importantly the ease-of-use. What do you dislike? Still to be determined. 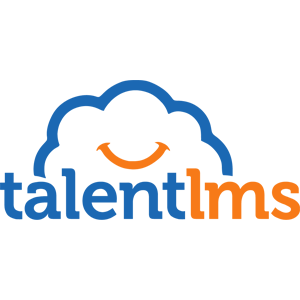 After reviewing several LMS platforms TalentLMS was a breath of fresh air. What do you like best? The administrative interface is easy to understand and build out. Once you understand the basics you can have a full-scale course in place within hours. With feedback from your students you can quickly go back and improve it. I love it. Simon Gibbard -. — On the cyber security battlefield, your best defence is knowledge. What do you dislike? Mobile app does not support scorm. It’s an easy-to-use platform with many available resources. What do you like best? The availability of resources without leaving the platform difficult to use. What do you dislike? The only problem encountered was the lack of support in other languages, but this does not take credit from the excellent support offered in English. Deeply customizable for needs of custom coaching. What do you like best? We find TalentLMS optimal for our needs in compare to other free and paid eLearning software. All-in-one platform. Easy to customize courses, tests, userfriendly interface, scheduling and automations. Quick and responsive support makes us deal with all the questions with ease. What do you dislike? Limited options to choose between while dealing with e-commerce. Great support, easy to use and good value for the money. What do you like best? I like that it is very easy to use, both for the administration and for the learner. We are very happy with the product, and I feel that it is always developing. Love that we can use branches, and that they work as separate entities. What do you dislike? - In some cases, the LMS seems more created for school than business. This is possible to see in the gamification part. - Missing possibilities to custom more the certification, and how we recertify our partners - Missing more options when it comes to reporting. Not possible to compare groups with each other for example. - I would like the course catalog and course list to be more customized and user-friendly. Now it can look a bit too messy when you add a lot of courses in a branch. Excellent system, great customer service! What do you dislike? I don't dislike anything, they are always updating. Maybe if we could customize the home page a bit more but I'm sure they are working on that now! What do you like best? Like the ability to scale, and having many different features that keeps our students engaged. What do you dislike? No dislikes as of now. Everything runs good, and the software works very well for our company. What do you like best? The easy way to make all things. Mobile interfaz is great an easy to use for students. We are going to use this system to teach soccer certification and we think is going to be a great sucess. But I think We need more video tutorials about stripe and paypal payment process. And SSL configuration. What do you dislike? Your company don't have spanish support, I think you should have more videos tutorials. Milton J. D. — Franchise specialist and business model's developer, knowledges in sales and marketing strategy. Easy to use, value for money and flexible system. What do you like best? Good pricing comparing to others. What do you dislike? No support in swedish. What do you like best? At the moment we are in development stage and haven't rolled out. But my limited experience so far is very good and any queries I've had have been responded to by the support team promptly. What do you dislike? The display of courses could potentially be adapted to facilitate large numbers of courses better. For instance having different pages for different categories of course. We have 5 streams of training from Technical, to Professional Competencies. Over time as users unlock more courses and complete modules their homepage is likely to get very cluttered! Easy to understand, manage and get up to speed. Exactly what we were looking for. What do you like best? The flexibility when managing all components (Courses, Users, Categories, etc…) that TalentLMS provides is outstanding, not to mention how easy is to customize almost “everything”. Support-wise: The team behind TalentLMS is tremendously professional. All our support requests (in our case many), have been satisfactorily answered in no time. What do you dislike? It goes beyond our expectations, however we would like to see more evolution and features to make the mobile experience even greater and an increase in the label customization capabilities (overrides). Excellent learning solution with tons of features! What do you like best? Talentlms has a lot of functionalities that suits our organisation’s needs. The ability to create branches for different types is users is game changer for us, as it allows us to provide separate training plans and lessons for different types of roles without mixing all in one platform. What do you dislike? The solution has everything that we need. The ability to customise the course catalogue would be nice feature to have. I am sure the team at talentlms will add it in future. i implemented Talent LMS, it was easy and fun! What do you like best? highly configurable, yet easy in maintenance. many features to see what users did what training. Support is very reactive! also asking the clients about their opinion is very easy! What do you dislike? you cannot create training itself with Talent LMS, this should be a great option! this would make it a one stop shop!